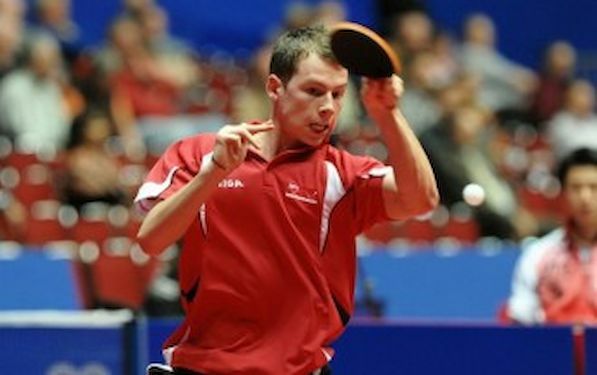 Jonathan GROTH won the Danish Championships in Singles for the fourth time in a row. In the final he bat Kasper STERNBERG 4-1. Mie BINNERUP JACOBSEN won her first titles in Women’s singles after she beat the champion from 2014 Pernille AGERHOLM 4-2 . Bronze medalists from European Championships for juniors in Sarajevo 2006 Kasper STERNBERG and Mikke HINDERSSON won their first title in Denmark in Men’s Doubles . Women’s doubles: Mie JACOBSEN/Sofie EGEHOLT BANG, København-Nicoline KOFOED, Hasle/Sophie WALLØE, Brønshøj 14-12 9-11 12-10 11-9.